NOW AVAILABLE IN PAPERBACK, AUDIOBOOK, AND eBOOK! Welcome to the bogs, the pubs, the music, the landscape, the archaeology, the poetry, the mystery that is Ireland... And to the official website of Erin Hart, author of the Nora Gavin/Cormac Maguire crime novels. Erin's debut, HAUNTED GROUND, was nominated for mystery's prestigious Anthony and Agatha awards, and won Romantic Times Best First Mystery, and the Friends of American Writers award. The second novel in the series, LAKE OF SORROWS, was shortlisted for a Minnesota Book Award. The third in the series, FALSE MERMAID, was named by ALA/Booklist as one of the best crime novels of 2010. 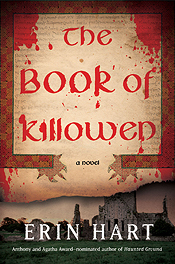 The fourth book in the series, THE BOOK OF KILLOWEN, received wide critical acclaim when it was released in 2013, and is a Minnesota Book Award finalist. Archaeology is an apt metaphor for how Erin unearths her novels working down through many layers, finding connections, bringing priceless artefacts and terrible secrets of the past to light. With that metaphor in mind, this site also has plenty of hidden layers to uncover. Have fun digging! Questions? Please contact Jean Wynne at Celtic Journeys: (651) 291-8003, jean@celtic-journeys.com, www.celtic-journeys.com. 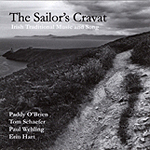 There's a lot of Irish traditional music in my books, as you probably know, and I consider my husband's latest recording, THE SAILOR'S CRAVAT, a good soundtrack to the series. Paddy plays some wonderful traditional tunes on button accordion, along with Tom Schaefer on fiddle, and Paul Wehling on bouzouki. 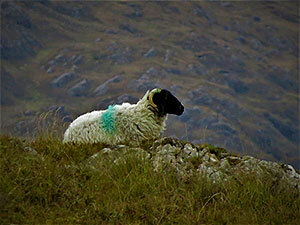 I also offer a few unaccompanied traditional songs from Nora Gavin's repertoire. You might remember that Nora is persuaded to sing 'The Generous Lover' in the Dublin session scene in HAUNTED GROUND. The story of 'Molly Bawn' actually inspired the mystery of Mina Osborne's disappearance—hope that's not a spoiler alert! And the third song on the album, 'The Flower of Magherally-O,' is a sentimental favorite, because it's the song I sang onstage the night I met my husband. You can hear a few excerpts of songs and tunes here. Site design © & maintenance by xuni.com. All content © 2009-2019, Erin Hart.